Knowledge of God - Wouldn't You Like to Know the One Who Make You? How did the gentle Jesus perfectly reflect the "fire-breathing" Old Testament God who, according to Scripture, He came to reveal? How can a "killing" God tell humans "Thou shalt not kill" and yet to pattern their character after His own? Why didn't God destroy human rebellion early-on, before it became full blown? How does "the wrath of God" apply to our generation? The text above is from the back cover of the book Light on the Dark Side of God written by Marilyn Campbell. 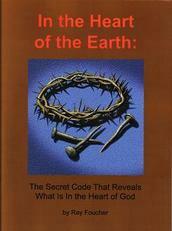 I have benefited greatly from reading it and I have even given away many copies of it and sent them around the world. The concepts in this book have helped me to understand God in a new way and see His character in a much better light than I had previously. I find that the better He looks (from solid Biblical evidence) in my mind, the more I love Him and want to serve Him. The book is now out of print having been replaced by a revised version - Light Through Darkness. Marilyn has given me permission to reproduce Light on the Dark Side of God on my website so it could be accessed easily by more people. Read it on-line at the pages listed below or download a PDF-file of the book here. Following are the chapter headings with links to each. Note that chapter 3 which was an appendix in the book is included as a chapter in the on-line version. 3 Where Did Jesus Go When He Died?